Back in the early days of digital content distribution, you’d have no recourse if you purchased anything that you either didn’t like or didn’t need, but times are different now. 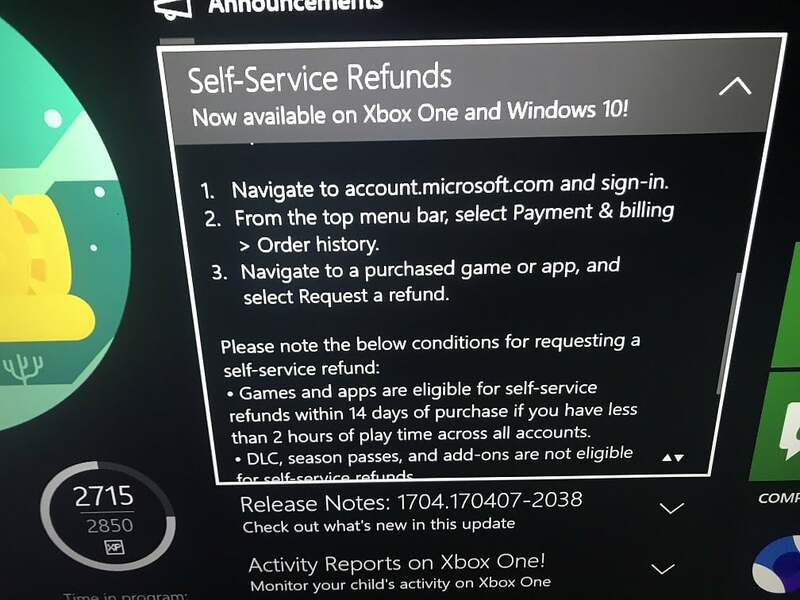 More and more digital platforms are offering refunds for digital purchases. The newest member of this welcoming trend is Microsoft and its Xbox self-service refunds. The only criteria for the refund is that the app or game must have under 2 hours of use time. It does not work on DLCs, season passes, and add-ons. In the case of a pre-order, the refund can only be requested until a day after the official launch. Head over to account.microsoft.com and sign-in. From the top menu bar, select Payment & billing > Order history. From the top menu bar, select Payment & billing > Order history. At the time of writing, it appears that the feature is only available on the Xbox Alpha ring. Official release should come in the near future.